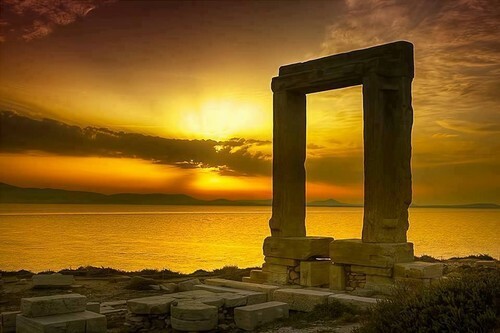 Sunset in Portara, Naxos. . HD Wallpaper and background images in the Greece club tagged: greece naxos portara sunset. This Greece photo contains guillotine.